Which Was My Toughest Swim? Hi Lewis, Congratulations on the completion of the Channel Long Swim, I am just a little curious about the swim. Did you return to the point you got out of the water the previous day, to continue swimming on the next day? When people ask me to name my toughest swim, they expect me to say the North Pole. That’s definitely up there, but I’ve had others that were just as challenging, for very different reasons. All my swims are physically tough, but sometimes sea conditions make them especially challenging. Some swims present unforeseen difficulties, such as an obstinate authority. There have been swims for which I have been woefully unprepared, and swims I undertook under difficult emotional circumstances. Any one of these factors can add enormous pressure to a swim, and make it tougher than we thought it would be. I made a rookie mistake when I swam across Lake Malawi in 1992. 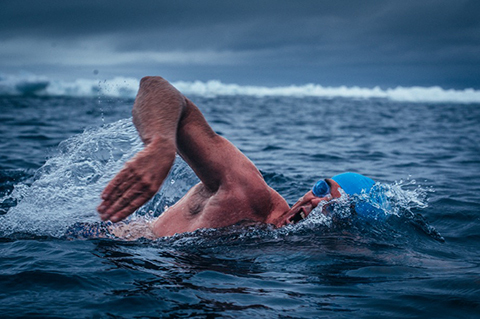 The night before the swim I left my bag with everything I needed – swimming cap, goggles, food and sunscreen – on the support boat, anchored 500m offshore, while I slept on the beach. In the middle of the night robbers stole everything. Luckily I’d slept in my swimming costume because it was so hot. Fellow swimmer Otto Thaning shared his suntan lotion with me, but there wasn’t enough of it to protect us both for over ten hours under the equatorial sun. By the end of the swim my cheeks were bleeding. These days I carry my swimming costume, cap, goggles, and suntan lotion wherever I go – even in my hand-luggage when I fly! Two years later I swam around Cape Agulhas, the most southern cape in Africa and home to the great white shark. This was in the days before electronic anti-shark devices. My skipper for the swim was Trail Whittun, who pioneered shark-cage diving in South Africa. The night before the swim I visited his home; on the walls were photographs of numerous sharks, mouths wide open – some of them the size of mini-busses. He told me how his son had been diving off his boat when a shark struck, lifting his body right out of the water. His boy survived, and so did that image – it circled me in the water throughout the next day. My River Thames swim in 2006 was tough for many reasons. The summer had been so hot that the river stopped flowing; what we thought would take 10 days took 21. I got very sick from polluted water, and when I swam through London an overzealous harbourmaster threatened to arrest me, claiming it was too dangerous for me to swim under the bridges in central London. Fortunately, the Prime Minister stepped in. 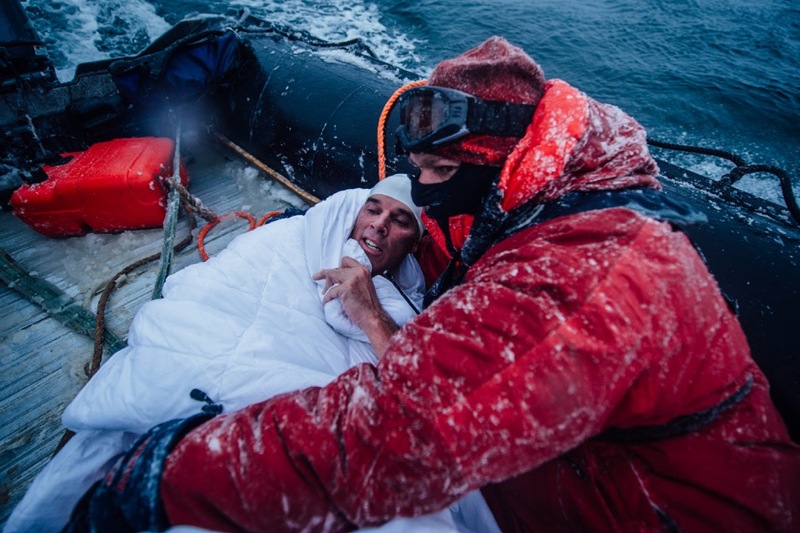 Fighting altitude sickness during my 2010 Mt Everest swim was tough, but grief made it harder still. My wife Antoinette and I were a year into our marriage. She was four months pregnant when my team gathered in London to fly out to Kathmandu. Just as we were about to leave, I got a call from home: Antoinette had lost the baby. All I wanted was to return home to be with her, but an expedition like this requires elaborate preparation; the team was gathered, Sherpas had been paid to take us up the mountain, we’d made press announcements … Being brave of heart, Antoinette said, ‘You’ve got to go.’ I did, but always regretted it. 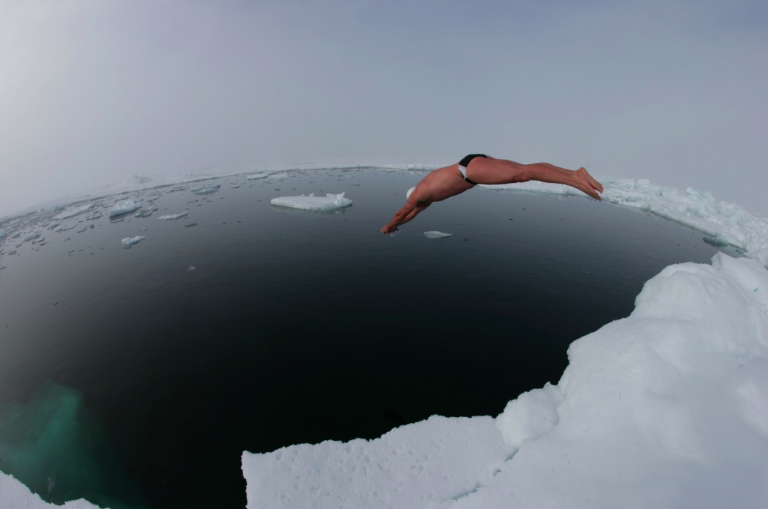 I blame climate change for the difficulties in my most recent swim in the Arctic Sea Ice. 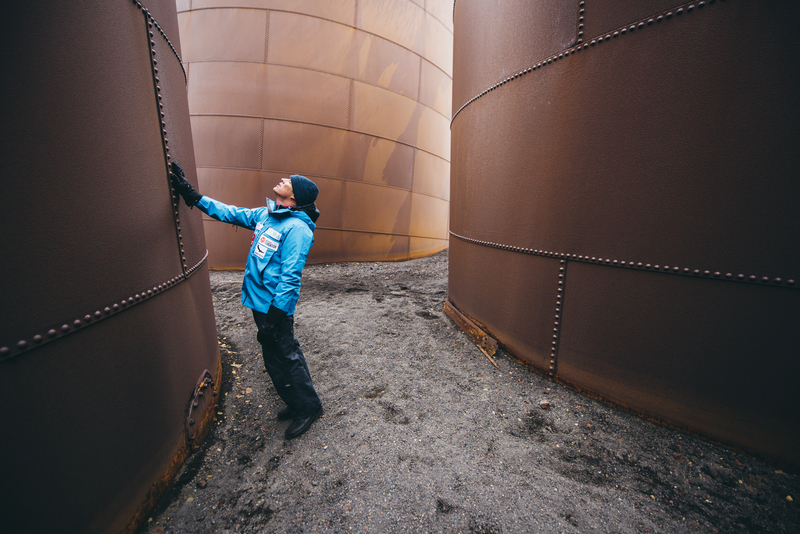 Unexpectedly warm waters en route to the High Arctic meant that I wasn’t able to prepare for the length of time I would have to spend in freezing water. That swim was almost my last. Which is why I think my toughest swim is always going to be the next one. You never know what the conditions will bring, or what kind of price will be exacted. You just have to be prepared to give whatever it takes.